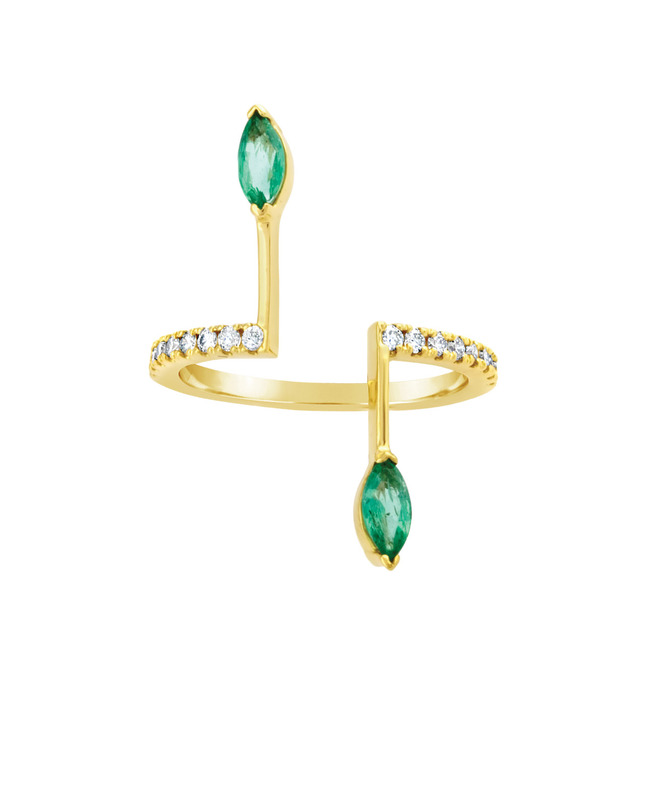 An open band paved with brilliant-cut diamonds offsets the melodious finesse of two sticks adorned with marquise-cut emeralds. 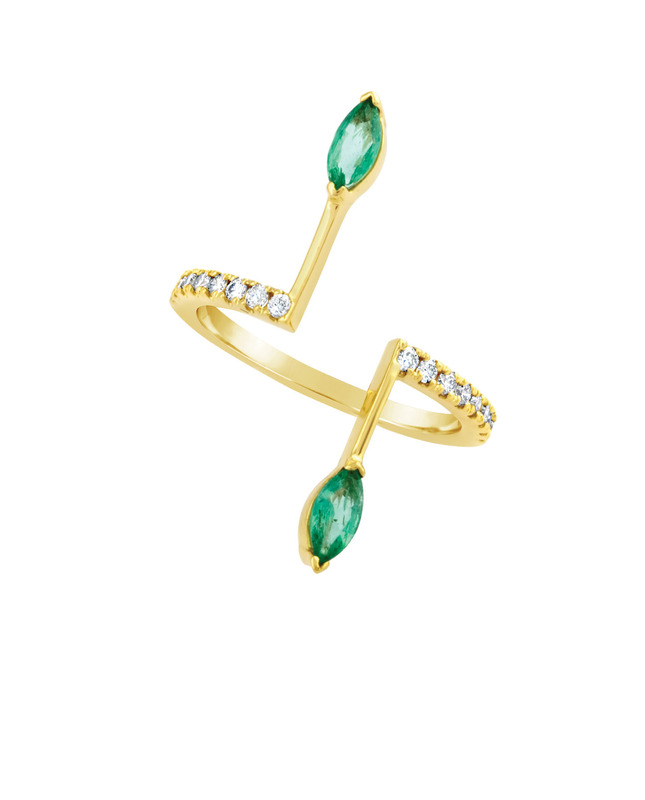 Playing with its reflection, the Drumsticks ring is handmade in 18-carat gold. Dynamic and visionary, this delicate jewel is part of The Baguette collection.